As one of the largest cities in the country and one of the most iconic cities around the world, Los Angeles is often heralded as a place where dreams come true. This is where the best, the brightest and the most beautiful head in order to achieve their dreams of wealth, prosperity and even celebrity. If you have recently moved to the United States and are looking for a fantastic location to invest in a luxury home, then look no further than Tinsel town itself! Los Angeles is home to nearly 4 million people, and it continues to grow each year as more people discover that it’s an ideal place to live, work and play. It is a diverse city, with many of its residents hailing from different countries and communities across the globe. In fact, it ranks sixth on the Global Cities Index. International trade as well as the entertain industry anchor the Los Angeles economy, and the city is home to six different Fortune 500 companies. This multi-cultural city is constantly buzzing with sights, sounds and activity. You’re never going to be bored in Los Angeles. A few of the most popular activities and attractions include Griffith Park, the Hollywood Walk of Fame, the Getty Center and Disneyland. In addition, there’s restaurants featuring cuisine from every corner of the world, as well as finest and most exclusive shopping opportunities. The weather is near perfect — almost every day of the year. Throughout the entire year, the temperatures range from 70 to 80 degrees, and the sun is almost always shining in Los Angeles. It is the land of the rich and the famous. It’s one of the only places in the world where you can drive through town in your Rolls Royce or Bentley, and no one will even notice you. Real estate in Los Angeles is valuable, and it’s always in high demand. 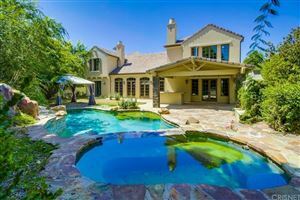 The people who live in Los Angeles appreciate luxury, and they often purchase homes in the most exclusive regions and neighborhoods. The median sales price of a home for sale in Los Angeles is $695,000. Home values continue to rise, and now is an ideal time to invest in real estate in Los Angeles. In order to find the perfect home for you in the City of Angels, you need to partner with a team of excellent real estate professionals. Luis and Silvina Pezzini are the only luxury homes specialists in Los Angeles who will provide you with a personalized approach to the real estate process. As the top-rated real estate agents in Los Angeles and the surrounding area, Luis and Silvina Pezzini have access to premier resources and are connected with industry experts. This ensures that you find the most incredible home at the best price possible in Los Angeles. Find out more information about contacting us today!